Truth be told, I completely ignored the Japanese PlayStation game known as Ore no Shikabane o Koete Yuke for a good couple of years after I first became aware of it due to its cover art, which I found oddly creepy. Eventually, I learned more about this Alfa System-developed game, and what I learned prompted me to have a change of heart about it. 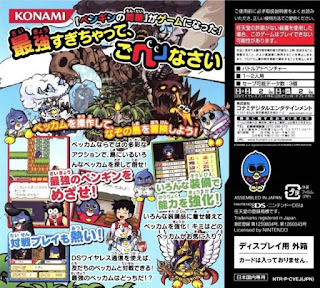 Specifically, I learned that Ore no Shikabane o Koete Yuke (Over My Dead Body in English) is an RPG with a really cool art style and an intriguing premise that revolves around the son of a legendary warrior who has been cursed--along with any and all offspring--to age much faster than usual. The only way to get rid of said curse is to kill the demon who put it on you, so that's exactly what you and your spawn are tasked with doing throughout the course of this game (or so I've been told). Which I guess helps explain why both the box cover and manual cover produced for Ore no Shikabane--or, Oreshika, as it's known in Japan--feature close-up shots of children's faces. 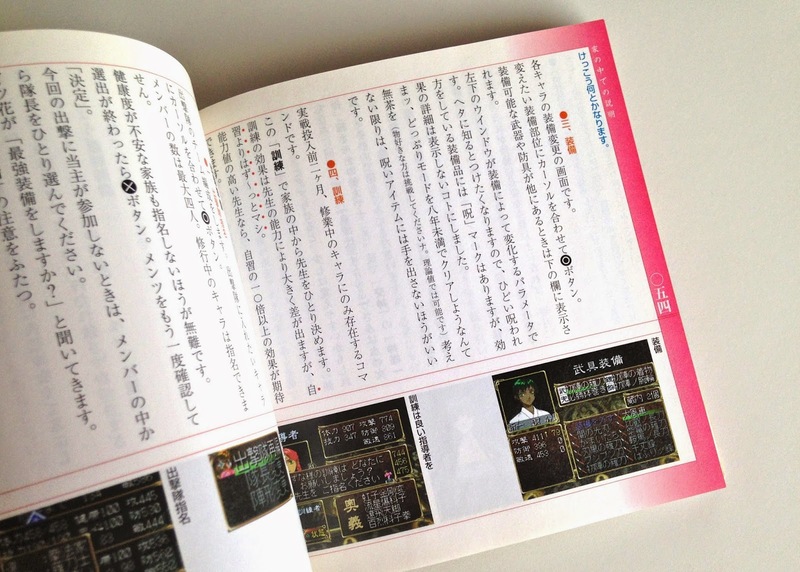 Speaking of Oreshika's manual, it's a real doozy--as in, it's almost biblical compared to your typical, run-of-the-mill PlayStation instruction booklet. 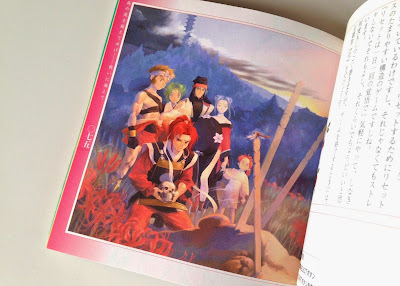 Although most of its many pages are rather boring and are filled with a ton of text (such as the example showcased in the photo above), a choice few feature gorgeous illustrations like the one that can be seen below. Here's another pretty good example, I think. Plus, the art in the snapshot below includes a bit of beefcake, which is never a bad thing, if you ask me. Please accept my apologies for not chronicling via a photo or two the CD that contains all of Oreshika's surely convoluted code. If memory serves, I passed on doing so because the disc in question is of the mirrored-surface-bearing-a-not-entirely-appealing-design variety. 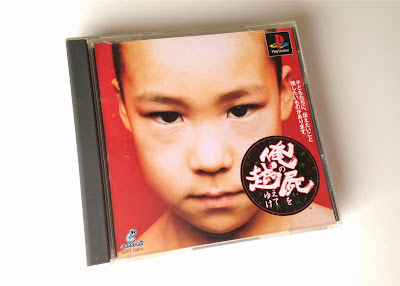 Anyway, I know I say this all the time, but I really am going to do my best to pop this game into my adorable Japanese PSone sometime soon and at least try to stumble my way through its first few hours. After I do that, I'll return here and share my thoughts in some form or fashion. In the meantime, have any of you played either this game or its Vita-based sequel, which was released in the West earlier this year? 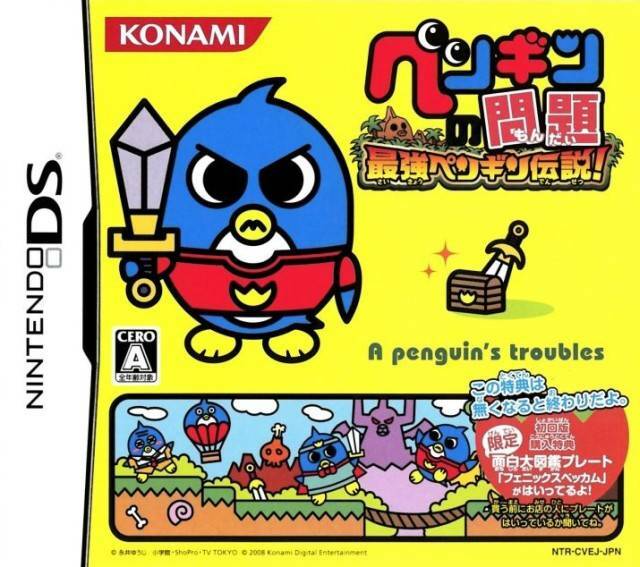 #ADecadeofDS: Penguin no Mondai Saikyou Penguin Densetsu! Amount of time devoted to this game since I started playing it just over a month ago--Two hours and 56 minutes. Most recent boss toppled, location reached or milestone achieved--Sadly, I was basically barreling through this comical and colorful Metroidvania until I came across what I believe to be its second major boss encounter. After trying my darndest to beat that Dragon Quest golem lookalike (I took him on a handful of times), I gave up--and haven't returned to the game since. Overall comments on the experience so far--Given what I just said about this pint-sized platformer, I'm sure you can guess that I have somewhat mixed feelings about it. On the other hand, like many Metroidvanias (I guess--I honestly haven't played a ton of them so far), this one can be annoyingly convoluted at times. Admittedly, it may seem less so to folks who can understand all of the text it throws at players, but I obviously can't comment on how true or false that assumption may be. Still, despite the fact that I was embarrassingly tripped up just as I was about to start my fourth hour of this penguin-centric adventure, I enjoyed the seconds and minutes I put into it before that ill-timed fumble. That's because this Penguin no Mondai title (which is one of three that were released for the DS in Japan) has a lot going for it--and that includes components that are completely separate from the positives I pointed out a couple of paragraphs ago. 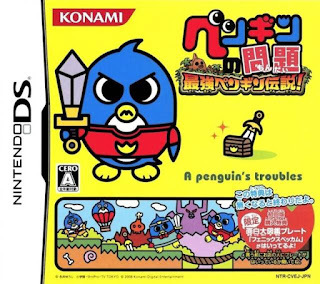 A few noteworthy cases in point: the deeper-than-they-initially-appear battle controls, the more-fabulous-than-they-have-any-right-to-be mini-bosses (all of which are penguins, too) and the guffaw-worthy gear the just-mentioned baddies give up after they've been defeated. Will I continue to play this game in the coming days, weeks and maybe even months?--I think so. 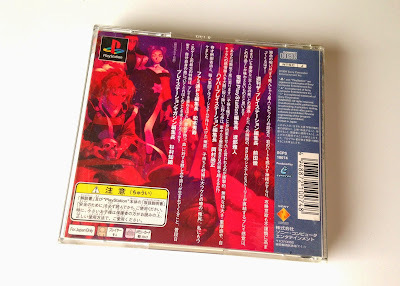 I'd be a lot more confident of that if an English walkthrough of this game could be found somewhere on the Interwebs, but unfortunately that doesn't seem to be the case. Do I recommend it to others?--If you're an adventurous sort, yes. 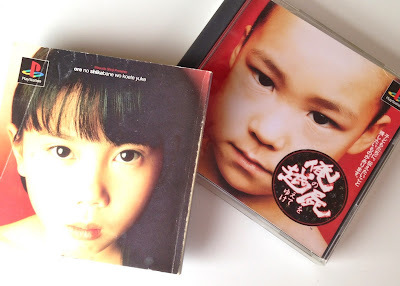 Even complete-in-box copies can be obtained for about $10 via eBay these days, so even if you wind up getting stuck like I have, you shouldn't feel as though you foolishly wasted your money on it. Despite the fact that a lot of people consider video games to be synonymous with "fun," amusement sadly doesn’t seem to be the aim of a whole lot of the cartridges and discs that find their way onto physical and virtual store shelves these days. 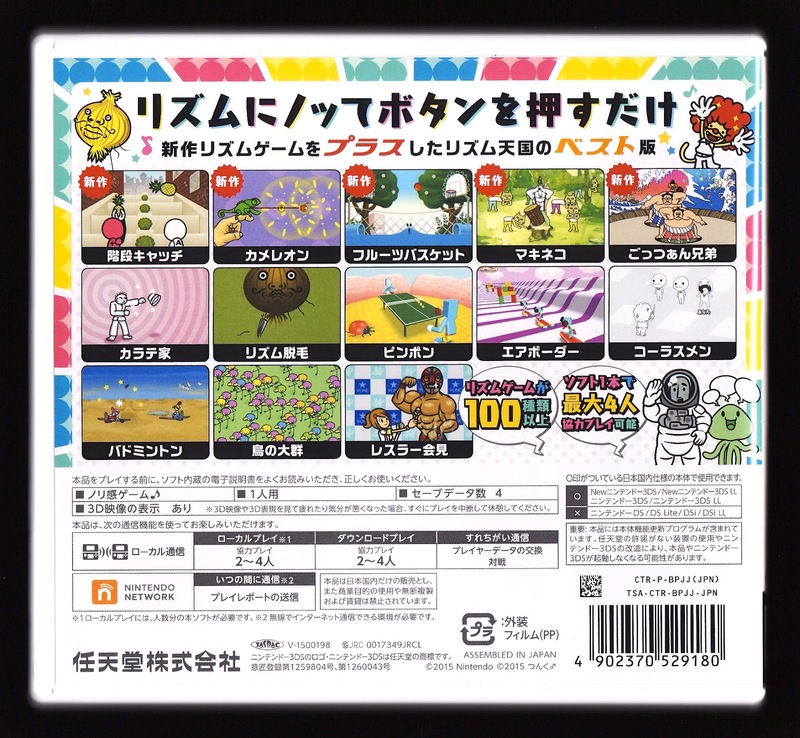 Which helps explain why I've found the grin-inducing Rhythm Tengoku: The Best Plus to be so refreshing thus far—even though a good portion of its content is recycled from earlier entries in this vaunted series of rhythm games. I’m not sure why my reaction to The Best Plus surprised me, I’ve got to admit. 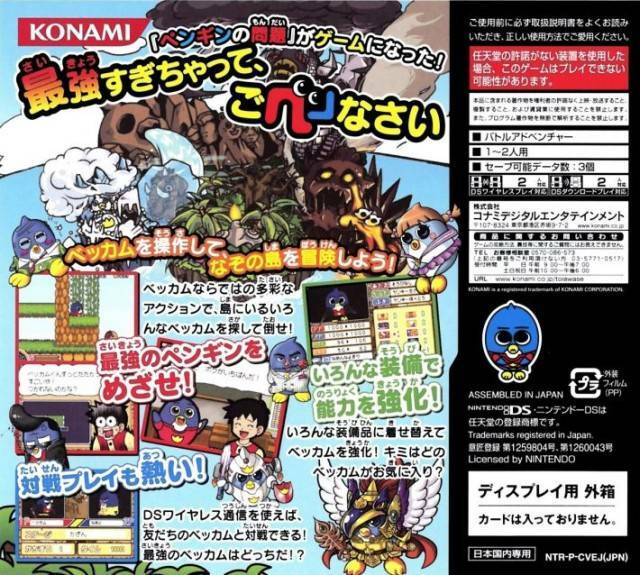 After all, I’ve adored every Rhythm Tengoku title the folks that make up Nintendo’s SPD department have spit out to this point—which includes the GBA original from 2006, 2009’s Gold and 2012’s Fever (known as Minna no Rhythm Tengoku in Japan). I guess I just assumed that this latest iteration’s status as a “best of” release would make it less enjoyable than its predecessors. Thankfully, after putting more than 13 hours into it (and getting all the way to its credit roll) so far, I can say without hesitation that this is far from the case and that The Best Plus is just as likely to put a smile on your face as those earlier titles. 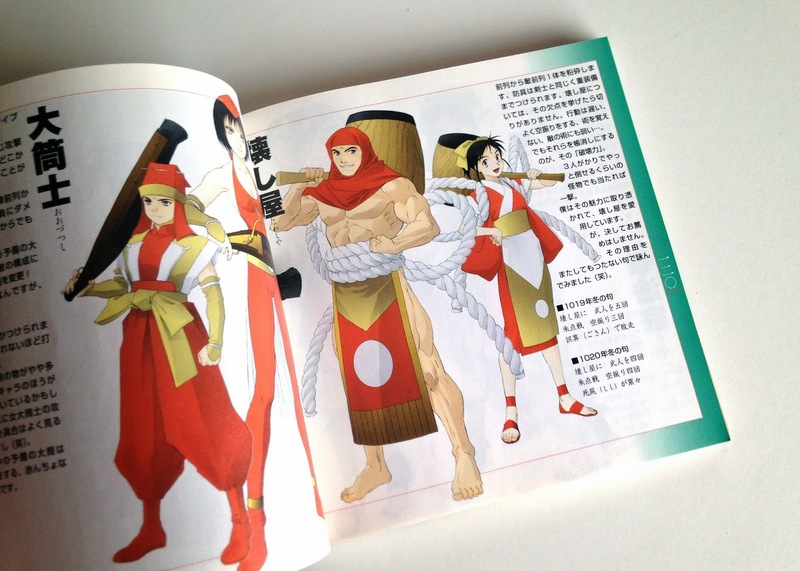 That’s partially due to the all-new mini-games that are on offer here (with "Te Te Te Pan Pan," or "Neko Clap," being the best of the bunch), but it’s also due to the fact that this iteration does things differently than the ones that came before it. Although I can see where they're coming from with their complaints, I personally like that this release's developers had the balls to take some liberties with the series' heretofore tried-and-true formula. It helps, of course, that after The Best Plus' somewhat slow start, everything progresses at a nice, increasingly enjoyable clip. That's especially true after a bunch of old favorites show up to the festivities (with the exception of "The Bon Odori"--harrumph) and a slew of fabulous remixes do the same. Also helping matters is that controls in The Best Plus are as simple and straightforward as those that can be found in the GBA original. In other words, all you're asked to do is press a single button (two, on rare occasions) in time with the music that's on hand. 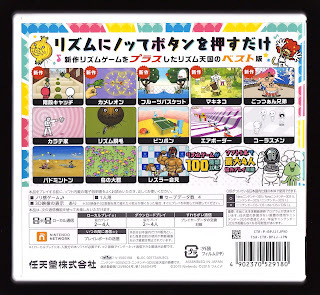 There's no swiping of DS' touchscreen or pinching of the Wii remote's A and B buttons, as was the case with Gold and Fever, respectively--news that's sure to please a lot of the Rhythm Tengoku lovers who weren't big fans of those entries. Admittedly, I found myself kind of missing the aforementioned touchscreen swipes while playing through some of the updated iterations of Gold's mini-games that are on offer here, but it wasn't enough of a bummer for me to considering downgrading this "review" as a result. 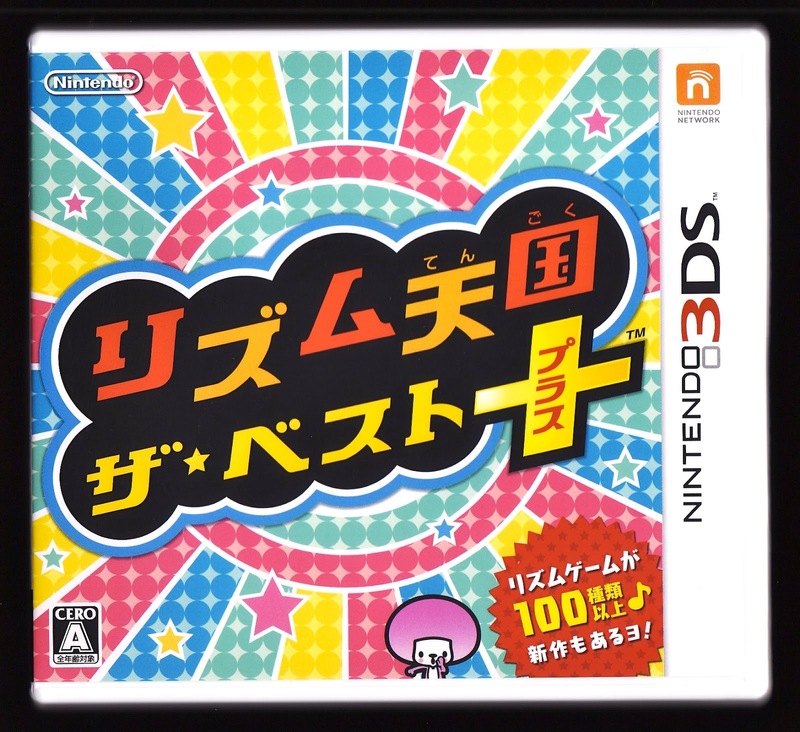 Speaking of which, if you've played the first Rhythm Tengoku or Fever on the Wii and got a kick out of those experiences, you'll probably react similarly to this one. Or, if you played Gold and hated it because it forced you to use your DS' stylus, you'll likely find yourself a lot less grumpy this time around. 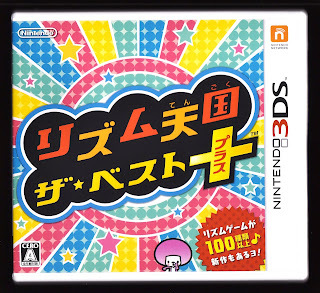 Unfortunately, a lot of people who fall into one or both of those camps won't be able to see if my predictions are spot-on or off the mark unless Rhythm Tengoku: The Best Plus is released in their particular locale (thanks to Nintendo's idiotic decision to region-lock the 3DS hardware), so here's hoping Australian, European, North American and other localizations are announced--and sooner rather than later.